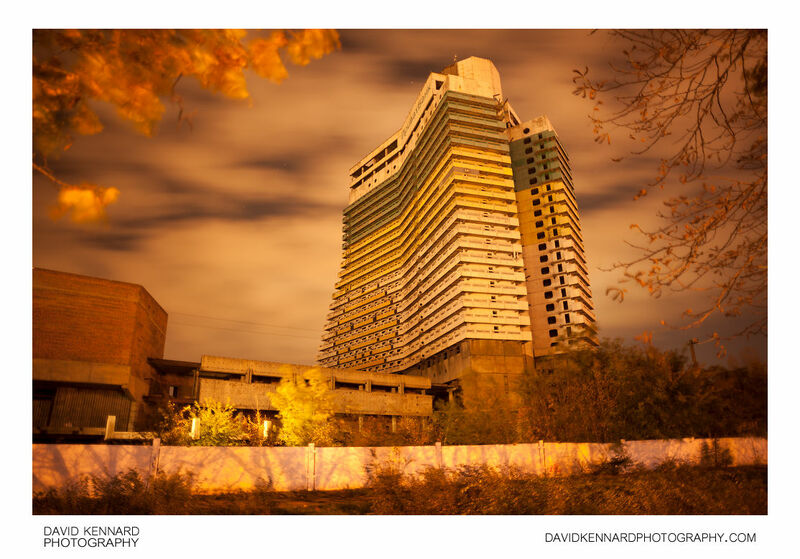 The uncompleted Parus Hotel at night, in Dnipropetrovsk, Ukraine. Work started on the building in 1972, until construction was halted in 1987. In 2005 the building was sold to the Private Equity firm Rombus Privat for 23,378,000 грн (around four million US dollars). Part of the conditions of the sale was that the building must be completed by 2015. The name of the Hotel, "Parus", means "Sail". The building juts out into the Dniepr river that runs through Dnipropetrovsk. When viewed from the riverbank the building looks somewhat like a sailboat.